Eating should be a source of joy—not a cause of angst, stress, or calorie-counting. 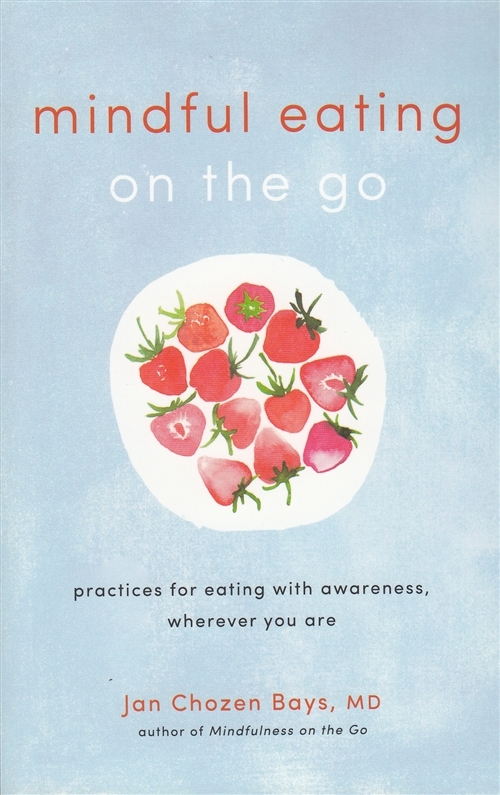 Jan Chozen Bays’s 2009 edition of Mindful Eating demonstrated the timeliness of that message in a world where our relationship with food is often negatively charged to the point where eating disorders are epidemic. Her approach ties together the latest science with Buddhist mindfulness techniques (she’s an MD as well as a Zen teacher) in a way that’s brought amazing results to folks who had no idea eating could be such a fulfilling and fun activity. With this little book, Jan now makes mindful eating even more accessible, providing simple exercises you can use anywhere in a small format you can keep in your pocket or purse to pull out for inspiration wherever you might be—any time you want to find a way to reconnect with eating as one of life’s great joys.